[S15] George Edward Cokayne, editor, The Complete Baronetage, 5 volumes (no date (c. 1900); reprint, Gloucester, U.K.: Alan Sutton Publishing, 1983), volume II, page 104. Hereinafter cited as The Complete Baronetage. [S15] George Edward Cokayne, The Complete Baronetage, volume II, page 105. [S400] Sir Bernard Burke, A Genealogical and Heraldic Dictionary of the Peerage and Baronetage of the British Empire, 28th edition (London, U.K.: Harrison and Sons, 1866), page 154. Hereinafter cited as The Peerage and Baronetage, 28th ed. [S6] G.E. Cokayne; with Vicary Gibbs, H.A. Doubleday, Geoffrey H. White, Duncan Warrand and Lord Howard de Walden, editors, The Complete Peerage of England, Scotland, Ireland, Great Britain and the United Kingdom, Extant, Extinct or Dormant, new ed., 13 volumes in 14 (1910-1959; reprint in 6 volumes, Gloucester, U.K.: Alan Sutton Publishing, 2000), volume III, page 123. Hereinafter cited as The Complete Peerage. [S6] Cokayne, and others, The Complete Peerage, volume III, page 122. Her married name became Campbell. 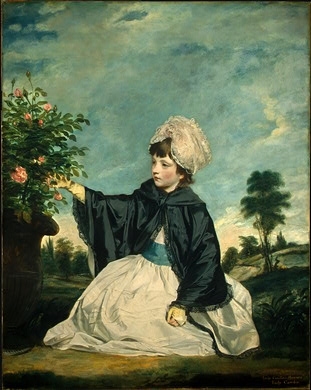 After her marriage, Lady Isabella Caroline Howard was styled as Baroness Cawdor of Castlemartin on 21 June 1796. From 31 January 1723/24, her married name became des Bouverie. [S6] G.E. Cokayne; with Vicary Gibbs, H.A. Doubleday, Geoffrey H. White, Duncan Warrand and Lord Howard de Walden, editors, The Complete Peerage of England, Scotland, Ireland, Great Britain and the United Kingdom, Extant, Extinct or Dormant, new ed., 13 volumes in 14 (1910-1959; reprint in 6 volumes, Gloucester, U.K.: Alan Sutton Publishing, 2000), volume V, page 543. Hereinafter cited as The Complete Peerage. [S15] George Edward Cokayne, editor, The Complete Baronetage, 5 volumes (no date (c. 1900); reprint, Gloucester, U.K.: Alan Sutton Publishing, 1983), volume V, page 18. Hereinafter cited as The Complete Baronetage. [S6] Cokayne, and others, The Complete Peerage, volume V, page 542. [S15] George Edward Cokayne, The Complete Baronetage, volume III, page 259. Her married name became des Bouverie. After her marriage, Hon. 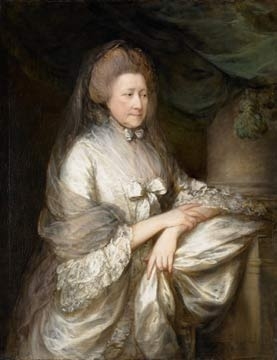 Elizabeth Marsham was styled as Viscountess Folkestone on 29 June 1747. [S15] George Edward Cokayne, editor, The Complete Baronetage, 5 volumes (no date (c. 1900); reprint, Gloucester, U.K.: Alan Sutton Publishing, 1983), volume V, page 44. Hereinafter cited as The Complete Baronetage. [S15] George Edward Cokayne, The Complete Baronetage, volume V, page 18.